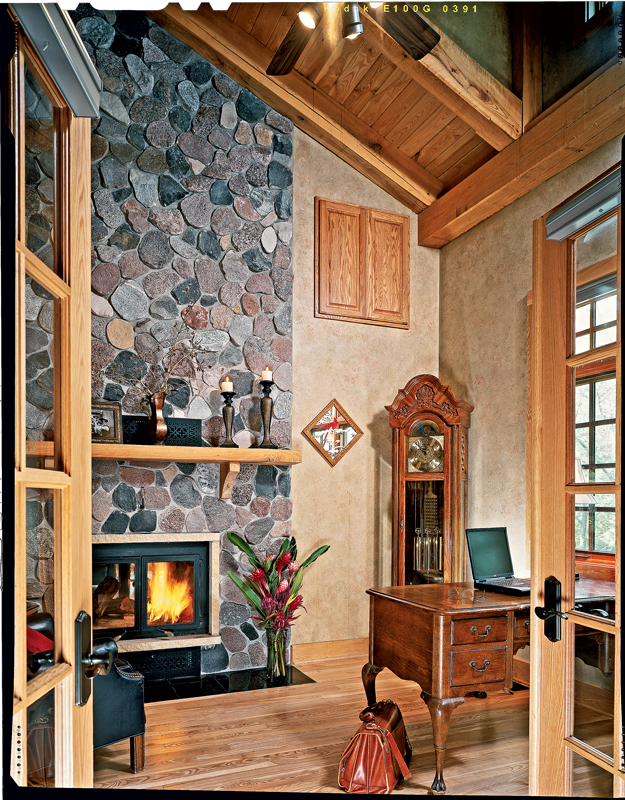 A natural choice for wood houses, stone fireplaces look right at home in a timber frame. Most timber homes just wouldn’t be complete without a fireplace, and stone fireplaces are often homeowners’ first choice. If your new timber home will include a stone fireplace, here are the basics behind the hearth. Stone fireplaces can look rustic or elegant, contemporary or traditional. Stones can be stacked with mortar or without. Different types of rocks offer different colors and textures. Natural stone can be carved or shaped to reflect wide-ranging styles. So, how do you sort through the options? First, when you’re working with your designer, bring pictures and files showcasing the type of fireplace you have in mind. From there, your architect or designer can sketch ideas based on looks you like, or may recommend that you visit previous home projects or local stone yards to see more options. As a focal point, the fireplace will set the tone for your home’s interior decor, so take the time to be sure the sketched design perfectly illustrates the style you want. Where you put the fireplace in your home is another topic to discuss with your architect or designer, keeping in mind your home’s views, climate and what time of day you’ll use the room with the fireplace. Once you define a style direction, you’re ready to choose between full stone, thin veneer stone or architectural veneer (manufactured) stone. Each choice offers its own advantages. Truly distinct and true to tradition, full-stone fireplaces can include very large stones and offer a multi-dimensional look. The drawback of full-stone fireplaces is the massive weight of the fireplace, which in turn requires a built-up foundation and support structure. Larger stones are heavier to transport to the building site, take up more space on the job site during construction and are more time-consuming to erect. 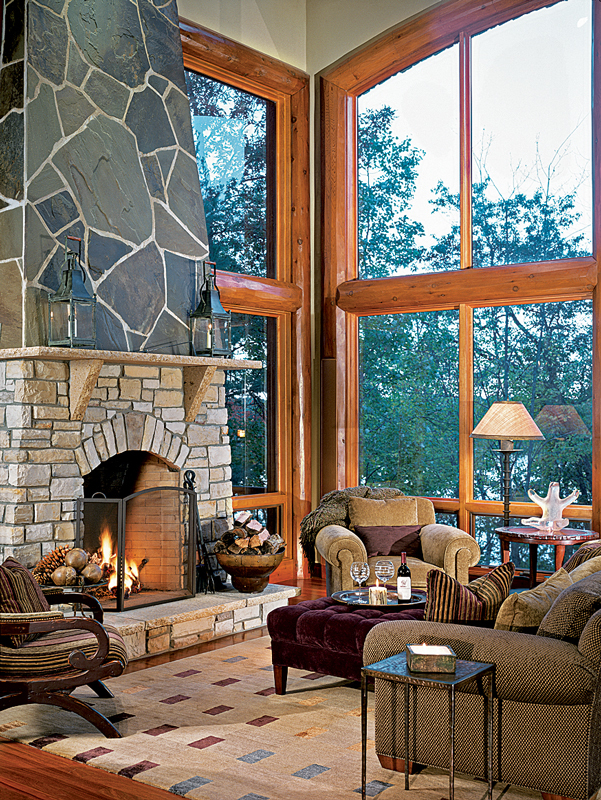 Thin-stone veneer is rapidly replacing the use of full stones in fireplaces and other residential applications. With the veneer product, stones are sawn to an approximately 1-inch thickness. Lighter weight makes them less expensive to ship and makes better use of a natural resource — splitting a stone in two doubles the amount of usable stone face. 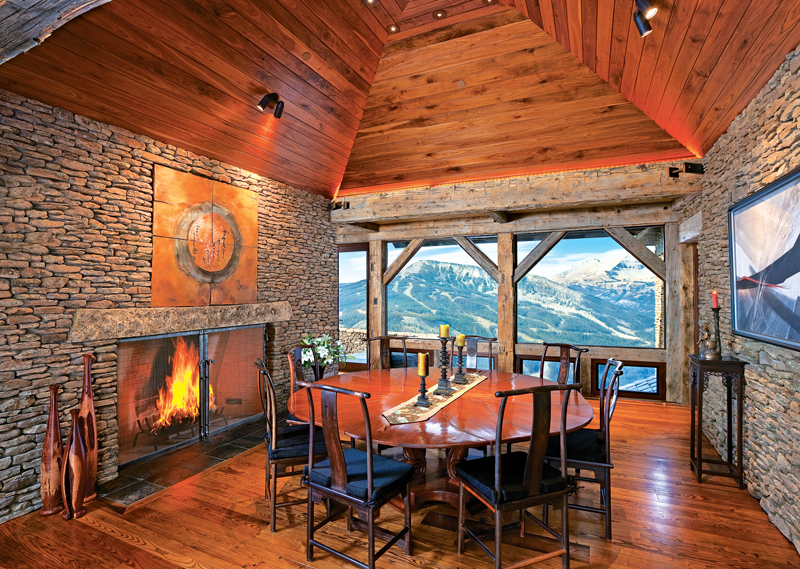 Ninety-degree outside corners and accessories, such as full-size hearth stones, make today’s thin-stone veneer fireplaces virtually identical to full-stone fireplaces. Still, the finished look of the stone cladding will be smoother than full stone. For a more natural finished result, some people mix full stones with thin veneer. Architectural-stone veneer is manufactured by combining lightweight aggregates and pouring the mixture into molds to obtain the desired stone shape. Colored pigments are used to customize the product’s appearance and highlight its texture. The finished product ranges in thickness from less than 1 inch to 2 or 3 inches, and is applied in a similar fashion to thin-stone veneer. It’s lightweight, easy to install and easy on the wallet. Different stone options come with different price tags: It’s important to look at the project in its entirety, not just at the cost of materials. Thin-stone veneer, for example may cost more upfront because of manufacturing costs involved with cutting and shaping the stones. Still, the savings are found in shipping, labor and lower structural requirements, according to the Natural Building Stone Institute. Whether you choose full stones or thin-stone veneer, one way to save money is to select a type of stone that’s local to your region, saving you on shipping costs. Choosing a local stone will also make your home look more natural in its environment. Obviously, labor costs add to the fireplace bottom line. 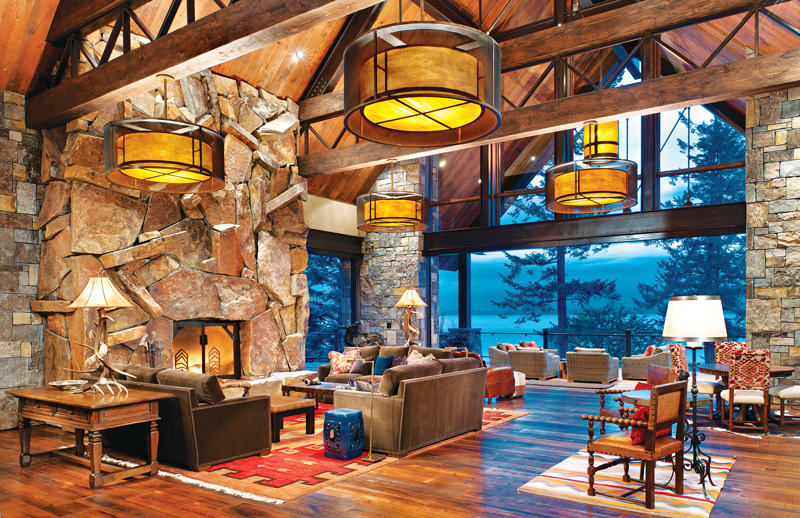 Using full stones will increase the time required to build your fireplace. (Full-stone masonry will also impact your building site, as more tools, like large wet saws, are needed for the job.) Your general contractor should be able to recommend a fireplace mason, or you can contact local quarries or masonry supply companies for recommendations.